Long-term, complex projects and relationships have a high rate of under-performance. But this is not in any way inevitable. 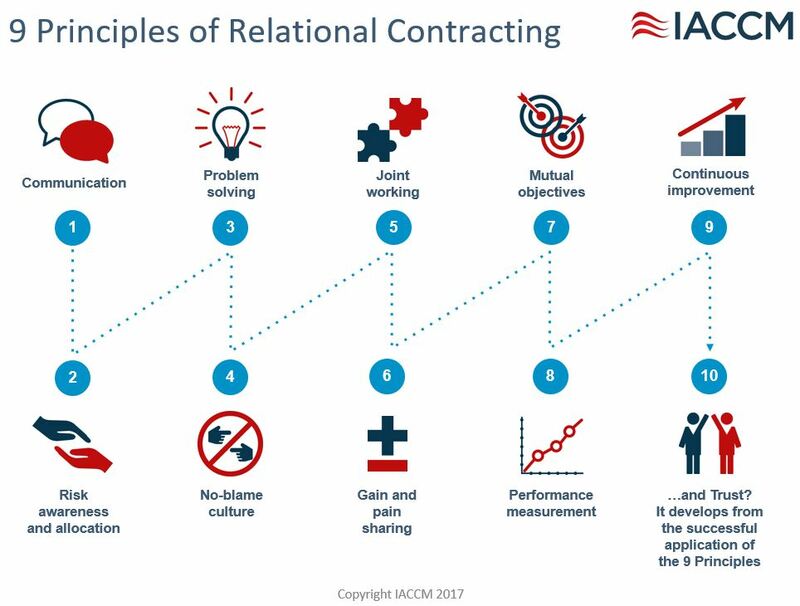 Research shows that greater integration between ‘the contract’ and ‘the relationship’ substantially improves the chances of success; together they generate a well-defined governance and performance management framework that builds collaboration, mutual benefit and increased trust between organizations. There is extensive evidence that relational contracting has the potential to deliver superior results. However, this is achieved only if the parties are aligned on their objectives and in their commitment to on-going management and governance. IACCM works with clients to achieve that alignment through the development of a shared approach and implementation of ‘relational charter commitments’. Embedding social norms in the relationship. Avoiding and mitigating risks by alignment of interests.